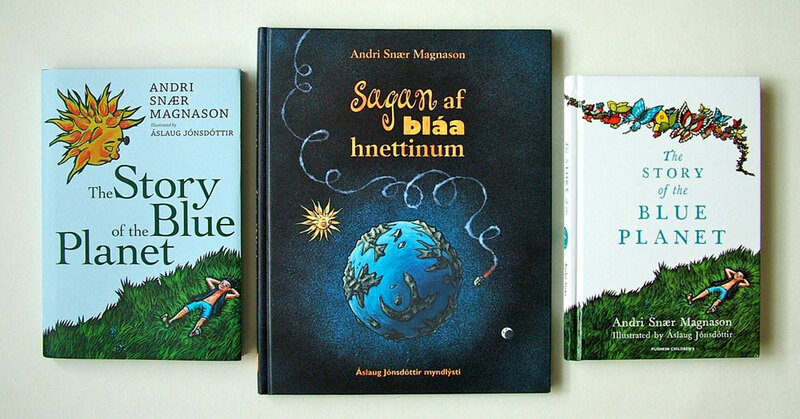 This entry was posted in bókaútgáfa | book release, grafísk hönnun | graphic design, myndlýsingar | illustration and tagged Andri Snær Magnason, Áslaug Jónsdóttir, Forlagið, Icelandic children's books, illustration, myndlýsingar, Sagan af bláa hnettinum, The Story of the Blue Planet. Bookmark the permalink. ← Monster i knipa | Book release in Sweden!